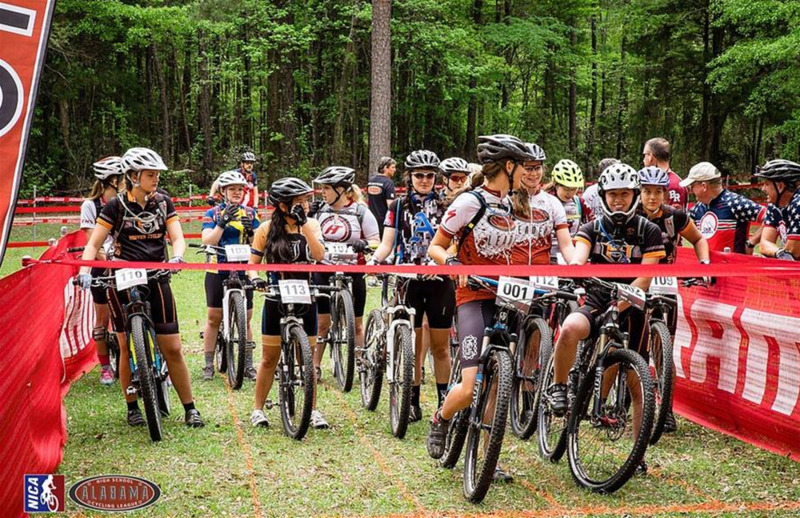 The Crank Down in Tiger Town will be March 2-3, 2019, at Chewacla State Park. Chewacla State Park is becoming one of the ‘must visit’ state parks in Alabama if you like hitting the trails on knobby tires. The course at this park will use a combination of tight and twisty single track and wide dirt roads to test the racers fitness and bike handling skills. The seemingly flat course is deceiving as the constant up/down results in a similar elevation gain to the season opener at Tannehill. In addition, these trails offer a lot more ‘texture’ with roots, rocks and tight turns that require strong bike skills as well as a powerful set of legs. Spectators bring your noisemakers because as the trail meanders through the woods, there are several opportunities to see the race unfolding from your seats in the infield area. About Alabama Race Series: NICA-sanctioned races provide student-athletes an arena in which to set and accomplish competitive goals and to achieve their personal best. We have a 5-race season, held in the Spring of each year. Professional race promotion, timing, course preparation, and risk management guarantee every participating student-athlete is given a fun and fast environment.